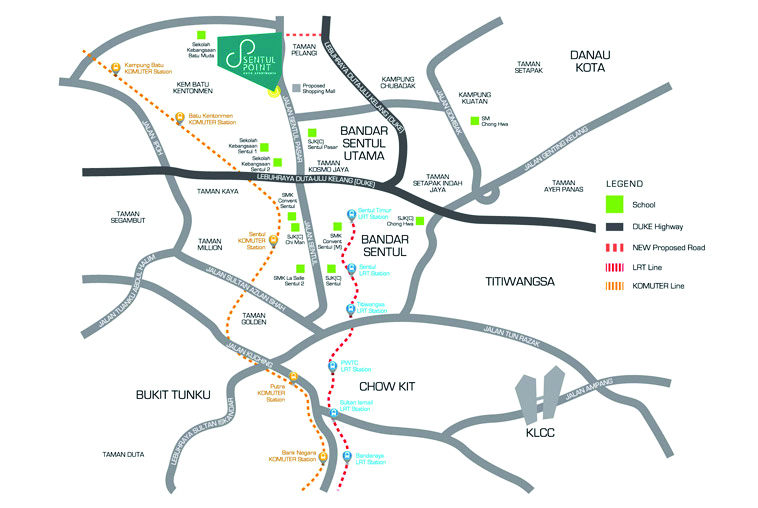 Sentul town has become one of the most sought-after places among buyers and investors thanks to its close proximity and good connectivity to where the action is – KL city centre. This fast growing neighbourhood enjoys easy access to various parts of Klang Valley including the Malaysian capital via the Duta-Segambut Highway, Damansara-Ulu Kelang Expressway and the Sentul Link. It also enjoys convenient connectivity via public transportation such as the Light Rail Transit (LRT) and the KTM Komuter train services. Sentul’s history as a railway town is reflected in its old world charm. But in recent years, developer YTL Land & Development Bhd brought modern appeal to the place with its distinguished looking crooked iconic residential towers in Sentul East. 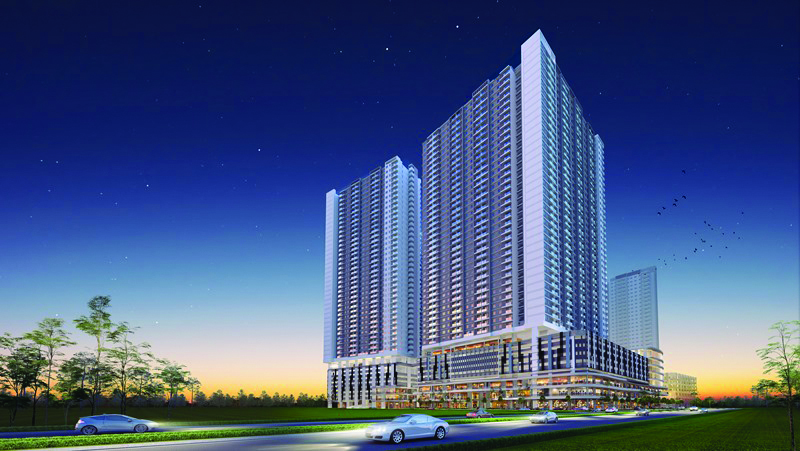 That “city renewal project” now houses high-end condominiums such as Tamarind, Saffron, Capers and Fennel. With these sophisticated homes came a new breed of urban dwellers and lifestyles. Today, Sentul is on the rise with many integrated developments coming up thanks to promising investment potential of the properties. Developer UOA Group Bhd’s latest offering seems to be ticking all the right boxes of a great investment with a moderate price tag within a superb location. 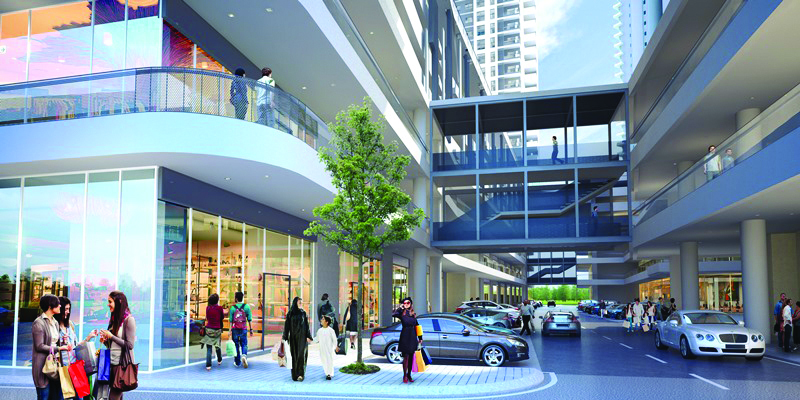 Its mixed development of 12.86 acres along Jalan Sentul Pasar comprises serviced apartments anchored by retail and office spaces. The high-end Sentul Point Serviced Apartments component is now open to homebuyers and investors alike for registration. It comprises three 44-storey blocks with a high-density of 2,352 units in total. There are several different layouts to suit different households and lifestyles and come in built-ups from 700sq ft to 1,001sq ft. The units range from two bedrooms and one bathroom up to three bedrooms with two bathrooms, and come with a balcony each. The developer allocates one parking bay for the smaller units and two bays for the larger ones. Given its location that is close to a host of amenities, those interested in this project will be pleased to know that it is priced from RM375,000 which is deemed affordable vis-à-vis the other developments in the area. Young professionals or first-time homebuyers working in the city centre and looking for a place to stay close by should consider this development. With a monthly repayment of about RM2,000 for a unit to begin with, it is not so hard on the pocket. For investors, this is a golden opportunity to park money in a property with potential for healthy capital appreciation and rental yield. UOA Group is known to never compromise on quality and using good building materials. The monthly maintenance fee is RM0.28psf inclusive of the sinking fund. There will be facilities to be built on 4.37 acres for residents including a lap pool, wading pool, open landscape, central park, multi-purpose open terrace, maze garden, café, indoor gym, function area and pre-function area. Sentul itself has many schools like SJK(C) Sentul, SMK La Salle, Wesley Methodist School, and Chong Hwa Independent High School and medical facilities such as Hospital Pusrawi, KPJ Hospital Tawakal and Sentul Medical Centre while Hospital Kuala Lumpur is 6km away. To access the development, residents can use the Mahameru (now Sultan Iskandar) Highway and other highways, and major roads like Jalan Pahang, Jalan Genting Kelang, Jalan Kepong and Jalan Ipoh. For public transportation, there are KTM Komuter service at stations in Sentul, Batu Kentonmen and Kampung Batu, and LRT service at stations in Sentul and Sentul Timur, all within 5km radius of Sentul Point Suite Apartments. UOA Group, with an excellent track record of delivering ahead of time, expects to complete the development by 2020.